The Savage Peace reveals the appalling violence meted out to the defeated, especially to those ethnic Germans who had lived peacefully for centuries in neighbouring countries. Plenty has been written about the armed struggle in Syria, but on left-wing and alternative media sources much of it has been laden with conspiracy theories, or is merely recycled Assad regime propaganda. In this article, soon to be published as part of a collection about the Syrian Revolution, Mark Boothroyd explores the roots of the armed struggle, and what drove the rebellion to the situation it finds itself in today. Khiyana: The Unmaking of the Syrian Revolution seeks to uproot the false information, reactionary “anti-imperialist” dogma, slurs and slanders which have characterised much of the analysis of the revolt in Syria. 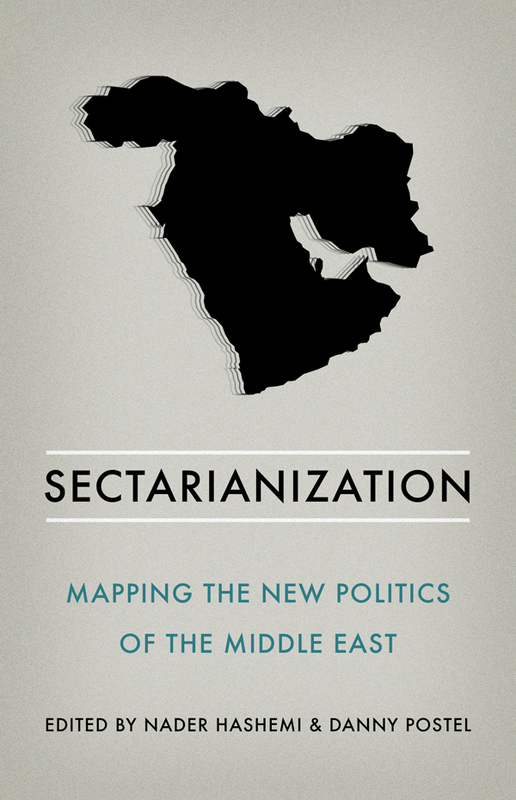 It will contain articles by Idrees Ahmed, Budour Hassan, Sam Charles Hamad, Leila Al-Shami, Javaad Alipoor, Louis Proyect, and Michael Karadjis. With the ongoing offensive in Syria by the Assad regime and its Russian and Iranian backers, there has been a renewed interest in Syria’s armed opposition. Despite the figure of 70,000 “moderate” armed rebels being mentioned in the media and in parliament, much of the coverage still talks about Al-Qaeda and ISIS, despite these being relatively minor forces in the armed conflict between the rebels and the regime. Many commentators like Independent columnist Robert Fisk1, leading Stop The War Coalition (StWC) officer John Rees, and Unite General Secretary Len McCluskey, have mocked or denied the existence of moderate opposition forces. Criticisms that the rebels are not moderates2, that they are a “rump”3 with no support, or that they are Al-Qaeda or Turkish fascists4 have all emerged. 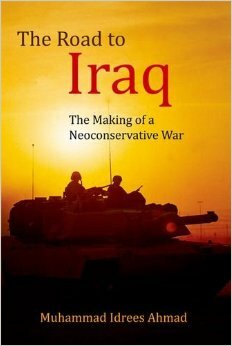 Parts of the left and anti-war movement are complicit in creating a narrative that the opposition are entirely Al-Qaeda or ISIS, obscuring the reality that the overwhelming majority of Syrian rebels remain nationalist, of a democratic, secular or Islamic orientation. Since September 30, 2015 Russia has been carrying out air strikes in Syria in support of its ally President Bashar al-Assad. The campaign has been relentless and growing in intensity, with Russian jets flying 444 combat sorties against more than 1,500 targets between February 10 and 16 alone. Moscow insists these attacks have only been aimed at fighters from ISIL and other “terrorist groups” such as al-Nusra Front. But monitoring groups, including the Violations Documentation Center and the Syrian Observatory for Human Rights, say thousands of non-combatants have also been killed or wounded. Amnesty International and others have said the bombings may be war crimes. Indeed, Amnesty has also cited consistent reports of second bombardments from planes returning to kill and injure rescue workers, paramedics and civilians attempting to evacuate the wounded and the dead from earlier raids. So are civilians being deliberately targeted – and could Russia be guilty as charged? In this exclusive report for People & Power, Danish born filmmaker and journalist Nagieb Khaja went to investigate. His remarkable film, shot in Aleppo, Idlib and other rebel-held areas of Syria at the end of last year, is a harrowing, tense and at times breathtaking portrayal of life underneath the Kremlin’s bombs. 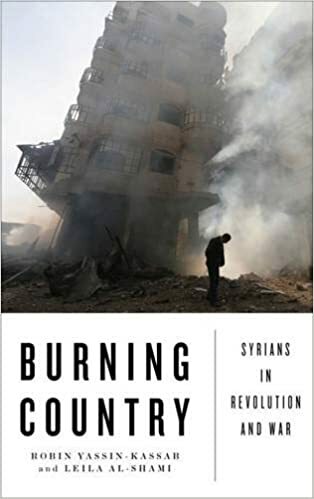 Burning Country: Syrians in Revolution and War, co-authored by PULSE co-editor Robin Yassin-Kassab and​ Leila Al-Shami, is “poised to become the definitive book not only on the continuing Syrian conflict but on the country and its society as a whole,” in the words of journalist Hassan Hassan. Robin and Leila have done several book events in the UK. In March and April they’ll travel across North America to discuss the book. They’ll be in New York; Washington, DC; Los Angeles; Chicago; Boston and Cambridge, Massachusetts; San Francisco and Berkeley, California; Montreal; Toronto; Seattle; Denver and Boulder, Colorado; Madison, Wisconsin; Wayne, New Jersey; and Colchester, Vermont. The full North American itinerary is here. Get to one of these events and spread the word! I was talking alongside journalists Anne Barnard and Borzou Daragahi, and aid worker Dalia al-Awqati, on KCRW, a Californian radio station. The discussion concerns the Munich theatre and the effects of the military onslaught on Syrian civilians. If you follow this link you’ll hear it. I come in between 20.40 and 27.15. Iran executes more people than any country except China. Many victims are Ahwazi Arabs or from other minorities. Many are political dissidents. And many, of course, are Shia Muslims. This was published at al-Araby al-Jadeed/ the New Arab. I recently gave a talk in a radical bookshop in Scotland. The talk was about my and Leila al-Shami’s “Burning Country: Syrians in Revolution and War”, a book which aims to amplify grassroots Syrian revolutionary voices and perspectives. My talk was of course critical of the Iranian and Russian interventions to rescue the Assad regime. In reply I asked him to consider the Syrian town of al-Qusayr at two different moments: summer 2006 and summer 2013. During the July 2006 war between Israel and Hizbullah, hundreds of thousands of Lebanese fled south Lebanon and south Beirut – the Hizbullah heartlands where Israeli strikes were fiercest – and sought refuge inside Syria. Syrians welcomed them into their homes, schools and mosques. Several thousand were sheltered in Qusayr, a Sunni agricultural town between Homs and the Lebanese border. It made no difference that most of these refugees were Shia Muslims. They were just Muslims, and Arabs, and they were paying the price of a resistance war against Israeli occupation and assault. That’s how they were seen.